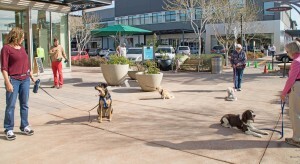 This is a seven week class with special emphasis on loose leash walking, coming when called, and basic commands. 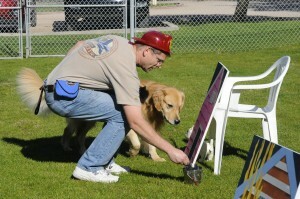 It is also an AKC STAR puppy class, the beginning level of the AKC Canine Good Citizen. Any age dog can join the class; dogs under the age of 12 months are eligible for the AKC STAR puppy. 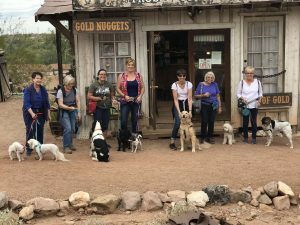 Come join us for some fun with your dogs! 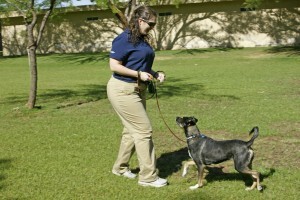 We use positive reinforcement to train the dogs! No choke chains or prong collars ever! We will use fun, innovative methods to reinforce basic behaviors. Class is held in a large grassy fenced area for safety. Call 480-892-8862 now to reserve your spot in the class! 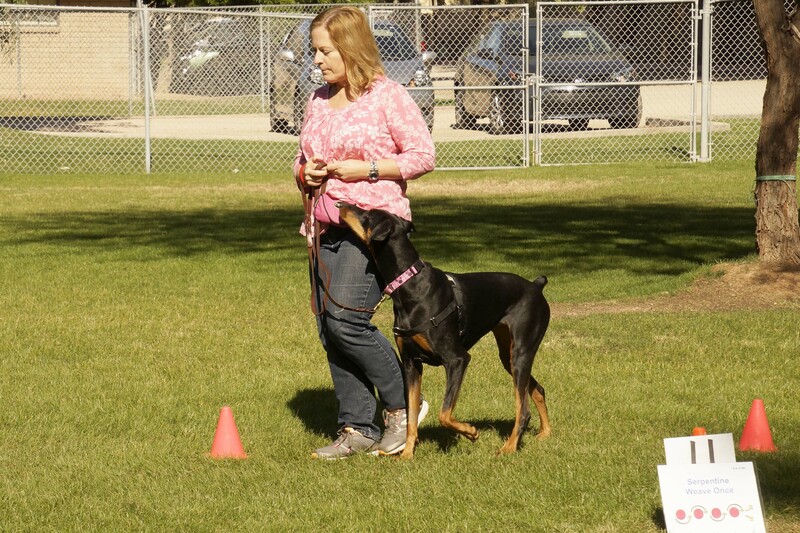 In this advanced class, we take the skills acquired in the AKC Canine Good Citizen class, which is a prerequisite to this class, out into the community. Each week we meet in a different location. Some examples are San Tan Shopping Center, Gilbert Farmer’s Market, and Goldfield Ghost town, as well as other locations. 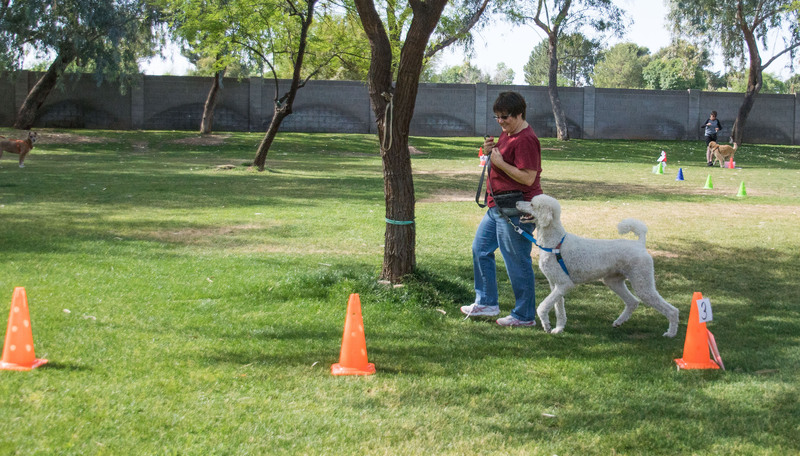 The goal is to have advanced skills that enable the dog to be a good citizen within the community environment. At the end of the class, the dog must pass a test required by AKC and upon passing this test, the dog may apply for the AKC Community Canine title. (There is a zero tolerance for any aggression or reactivity. Can’t decide which one so we are going to do BOTH Rally and Games, alternating between the two. This way everyone gets their favorite! Rally-O is a competitive sport in which the person and dog must work as a team to get through a course consisting of 12-15 stations, each requiring a level of skill to complete. This is a fun activity to do with your dog and increases the teamwork between you and your dog. Games! Everyone loves the games we play with our dogs. Fast paced and fun! Come join us for a unique experience. (Dogs must have a degree of skill with basic commands. No reactivity allowed due to close work and fast pace.